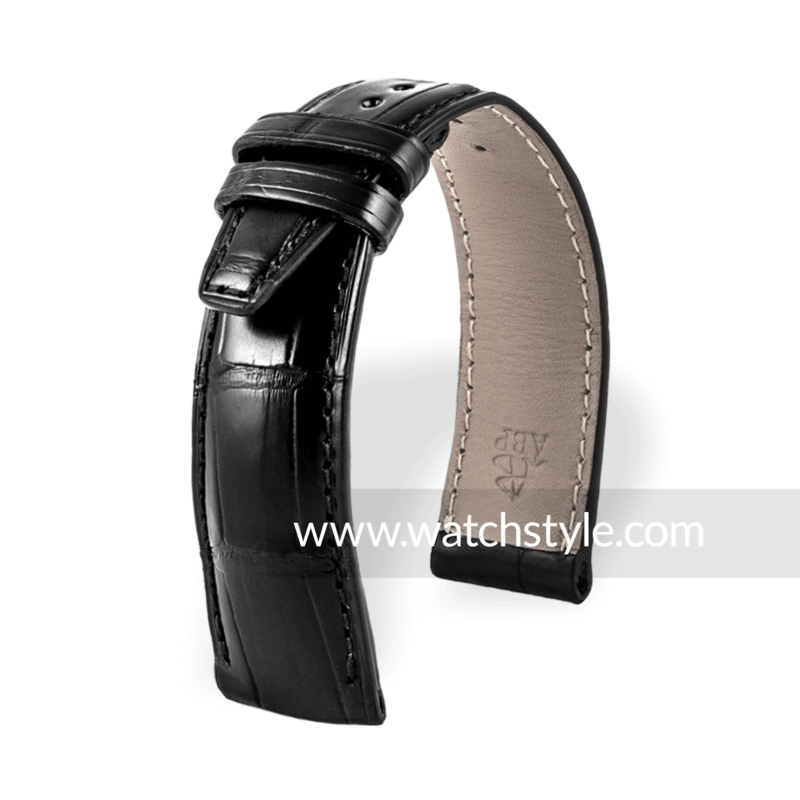 Genuine alligator watch strap, rectangular scales, tone-on-tone stitching, with calfskin lining. Compatible with IWC Portofino and many more. Designed and manufactured by ABP Paris. 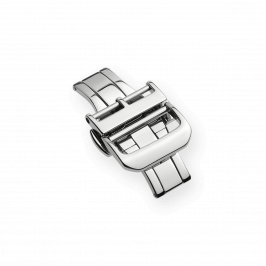 Superior quality, seamlessly fitting your watch case and your original tang buckle or deployment clasp of similar width. In addition, the strap is equipped with a tang buckle in stainless steel. This product is not an official spare part of the IWC brand.